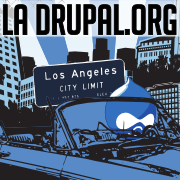 LA Drupal | The hub for Drupal users in Los Angeles and the whole of Southern California. LA Drupal is the hub for Drupal users in the Los Angeles and surrounding areas to network and collaborate; including Orange County, San Gabriel Valley, San Fernando Valley, Inland Empire, and the whole of Southern California. One of the largest local Drupal user groups in the world, we promote and encourage open exchanges of ideas within the Drupal Community and also with the other open source communities (including PHP and MySQL). The main monthly meetup is held on the second Tuesday of each month, with presentations and time for open discussion and networking. Our meetups are free and open to everyone at all skill levels. See our Calendar of Events for all the local activity, including job networking, trainings and social occasions. Join us each summer for our annual DrupalCamp LA conference, for the LA, Orange County and greater Southern California area. Our free online video training library has over 200 videos and hundreds of Drupal/PHP training hours! View recorded sessions from camps, meetups, trainings, and the official DrupalCon. Come join us on ladrupal.slack.com - just fill out the form on the side! First create an account at Drupal.org, which is the "master" site of groups.drupal.org. Joining Drupal.org will create an account on all the the other *.drupal.org subdomains. Finally, click the Join link found in the right sidebar. You'll be a member of LA Drupal after confirming your membership. As a member of the LA Drupal community, you can participate in discussions, post job announcements, send direct messages to people (via the "contact" tab on their profiles), vote on other member's posts and comments, schedule and RSVP for local events, and more.